By some miracle, my first official post as a UIC Radio blogger is about an event I attended under the guidance of an experienced member- the incredible Pearl Shin! She graciously took me under her wing and influence and, thanks to all that, we successfully infiltrated a Northwestern KASA event: Seoulmates. Their Asian-American community, more specifically here, their Korean-American Student Association, was tight-knit and enthusiastic for their end-of-the-year event. Of course, this year was more hyped than ever; and even allowed outside guests (including us) to attend the event because of their incredible headliner! Northwestern KASA had managed to snag a growing Korean R&B sensation! Hailing all the way from Seoul Korea, young Kwon Hyuk, better known as DEAN, performed for the lucky people in attendance. This prodigious gentleman of only 23 years is steadfast in becoming one of the greatest cross-over acts to break into the music scene in Korea and the US. He has collaborated with in-demand artists and producers such as Eric Bellinger, EXO, Zico, Anderson Paak, and more. 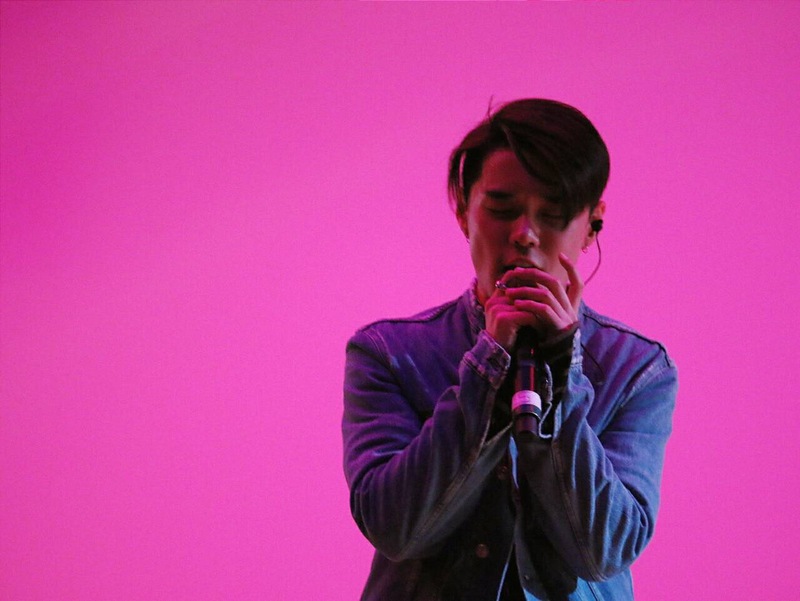 Dean’s sensual and soulful sound captivated the crowd- not only with his voice but his charisma as a performer! As far as student production can go, Dean’s command of the stage was no joke, and it was hard not to be swept up in the overwhelming energy of the room. Despite his long travel time and lack of rest, his energy was high as he swaggered around the stage alone and roused the crowd. His nervous English endeared the audience and his cute poses for the camera only epitomized his adorability as a person. As for his concert setlist, it featured some of his popular US and overseas tracks, such as Pour Up, 21, Bonnie & Clyde, and D (Half Moon), as well as his hit single I’m Not Sorry featuring Eric Bellinger. Social media chatter has definitely enhanced his career in Korea and other countries; so after witnessing this performance, it’s not hard to believe he’s come this far in his goal of bridging the divide between “western” mainstream and international music. If you want to follow Dean in his quest of bringing Korean R&B to the world, check out these links! ^^There are dates available for his upcoming shows, and coming up very soon he’ll be performing back to back shows at a club event in Los Angeles, CA on June 2nd and his own event in New York City, NY on June 3rd. Hopefully we’ll see him in Chicago again soon!